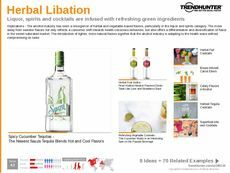 Find Better Ideas, Faster ® with a custom libation trend report, our PRO Dashboard and 80+ categories of premium trend reports. 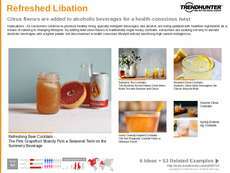 The Libation Trend Report is a professionally researched and curated report covering exciting new developments related to the alcohol industry. 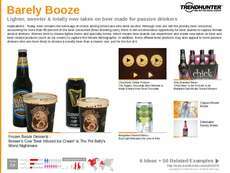 This data-driven document compiles the latest releases, marketing campaigns, recipes, packaging designs and flavors making significant impact amongst both consumers and industry professionals alike. 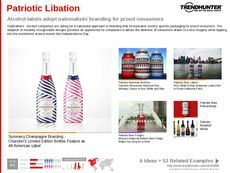 This report also accurately tracks consumer behavior in relation to market trends to help make informed predictions about future customer preferences. 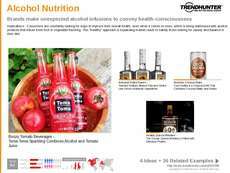 Use this research report to gain an enhanced understanding of the libation market from several different levels of study. 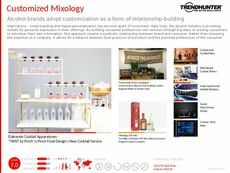 Learn from emerging market trends how to better adapt your own strategy for dominating current market trends that are sweeping through the industry. 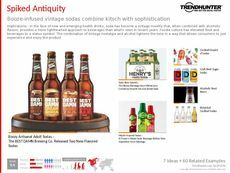 Trend Hunter's Libation Trend Report is a carefully focused and informative look at the alcohol industry, all the way from initial product development to consumer retail.